Princess Elizabeth is slated to marry Prince Ronald when a dragon attacks the castle and kidnaps Ronald. In resourceful and humorous fashion, Elizabeth finds the dragon, outsmarts him, and rescues Ronald --- who is less than pleased at her un-princess-like appearance. Maybe her Prince "Charming" isn't a part of her "happily ever after" after all. Elizabeth, a beautiful princess, lives in a castle and wears fancy clothes. Just when she is about to marry Prince Ronald, a dragon smashes her castle, burns her clothes with his fiery breath, and prince-naps her dear Ronald. 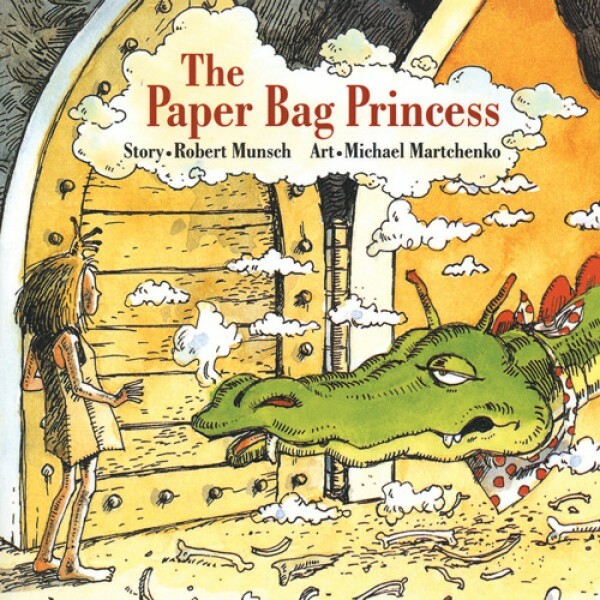 Undaunted and presumably unclad, she dons a large paper bag and sets off to find the dragon and her cherished prince. Once she's tracked down the rascally reptile, she flatters him into performing all sorts of dragonly stunts that eventually exhaust him, allowing her to rescue Prince Ronald. But what does Prince Not-So-Charming say when he sees her? "You smell like ashes, your hair is all tangled and you are wearing a dirty old paper bag. Come back when you are dressed like a real princess." (At least he has the courtesy not to mention that the princess's crown resembles a dying sea anemone.) In any case, let's just say that Princess Elizabeth and Prince Ronald do not, under any circumstances, live happily ever after.